It’s telling that the insurance industry won’t touch nuclear projects unless governments cap their liability. In Canada, the cap is now $650 million on disasters that can cost many billions of dollars to battle, excluding long-term economic impacts. Taxpayers, of course, cover the rest. Without such caps, the industry argues the cost of insurance would simply be too high. 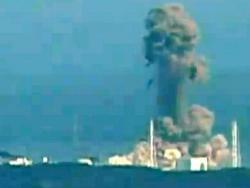 The plumes of smoke rising from Japan’s Fukushima Daiichi nuclear reactor create a visceral reaction. But the crisis should not persuade Americans to abandon nuclear power. 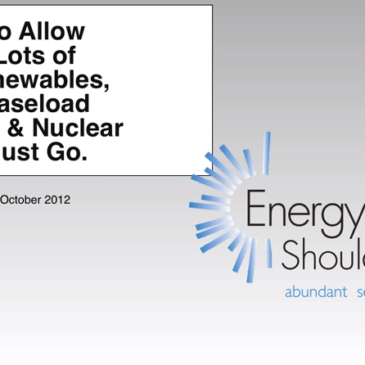 Instead, Americans should abandon nuclear power for its prohibitive and un-competitive costs. The wildly escalting costs of nuclear plants under construction in the U.S. are a perfect example. 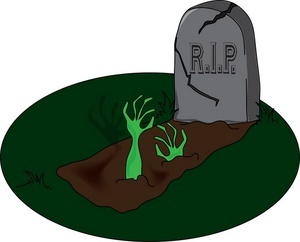 A pair of proposed nuclear power plants in Florida have “overnight” costs of $3,800 per kilowatt, but since nuclear power plants actually take eight years to construct, the total estimated project costs are closer to $6,800 per kilowatt (kW) of capacity. This figure is reinforced by an estimate for Progress Energy’s two new units ($6,300 per kW $8,800 per kW), and Georgia Power’s new plants ($4,000 per kW $6,335 per kW), both still incomplete. As Mark Cooper notes in his thorough analysis of the so-called nuclear renaissance, this is nothing new. 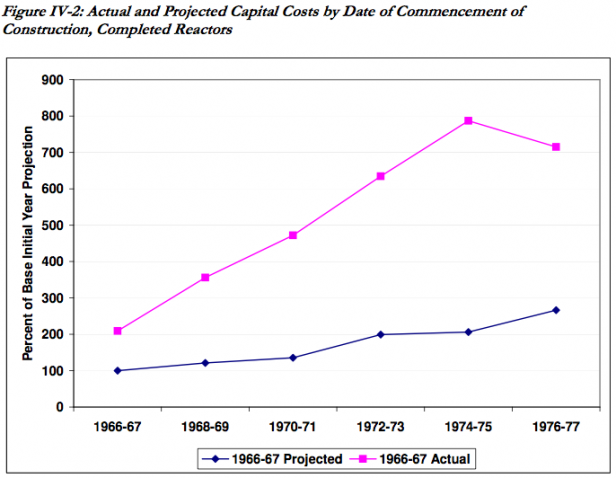 Most nuclear projects haven’t come in on budget, or even close. But let’s be generous for a moment and assume the U.S. utilities can hold to their current cost estimates. What do those costs mean to consumers? At $6,500 per kW, the expected cost of nuclear electricity is over 15 cents per kWh ($150 per MWh). At that price, investment bank Lazard estimates that only two technologies are more expensive than nuclear (crystalline silicon solar PV and natural gas peaking plants). But solar PV has significant near-term cost reduction potential and “gas peaking” only refers to the way we use natural gas, not its inherent cost (see Gas Combined Cycle). In the time it would take to build a nuclear plant (6-8 years, optimistically), every commercial energy technology could produce electricity for less. 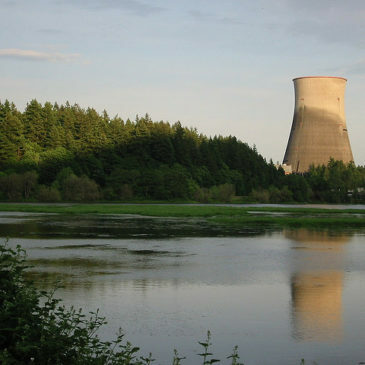 Subsidies can change the picture – the picture most Americans have of nuclear, that is. The Union of Concerned Scientists recently reported that nuclear subsidies total nearly 7 cents per kWh, twice what a typical wind power plant receives and similar to the federal incentives offered for solar power. 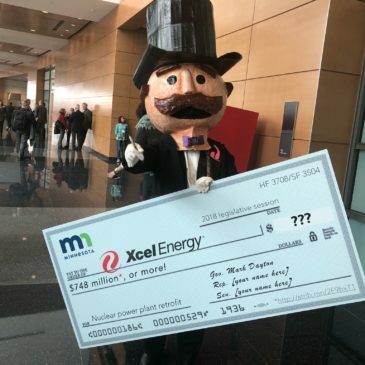 It’s time to let the market pick our winners, not outrageous government subsidies for nuclear power. Beyond its (escalating) costs and huge subsidies, nuclear power also reinforces a centralized grid paradigm where the financial winners are utilities who pass through cost increases onto the backs of ratepayers (sometimes before the plant begins operations). Did we mention that Florida Progress will require $3 billion in transmission upgrades to accommodate its new nuclear plants? Compare that to distributed renewable energy sources that can often interconnect to the grid with a minimum of infrastructure upgrades. The crisis in Japan is terrible, but we shouldn’t eschew nuclear power for its ability to cause immensely disproportionate harm during natural disasters. Instead, we should abandon this costly boondoggle for more cost-effective and renewable energy sources.